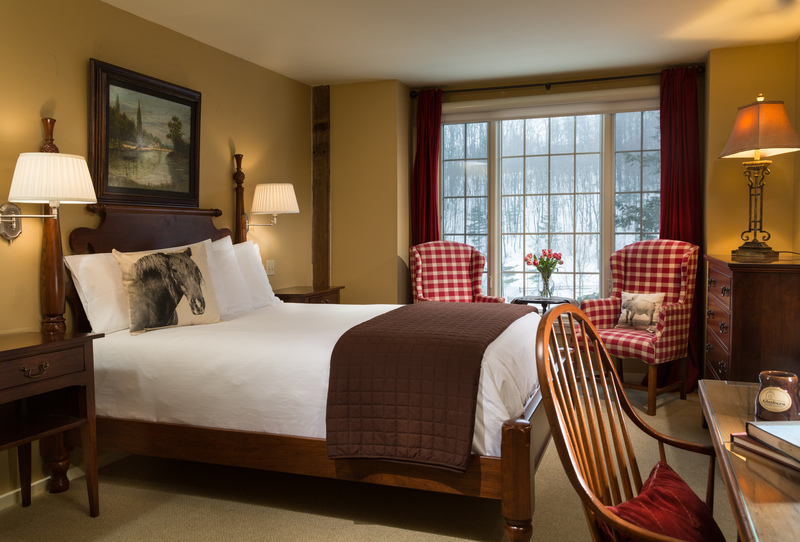 Retreat to the Glasbern Inn, nestled in the heart of Fogelsville, PA and surrounded by 150 acres of tranquil hills and gentle wildlife. 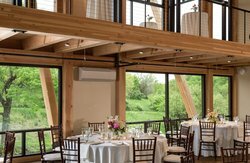 Host your countryside wedding or corporate retreat removed from the city in our refurbished Grand Lodge and Packhouse event venue. 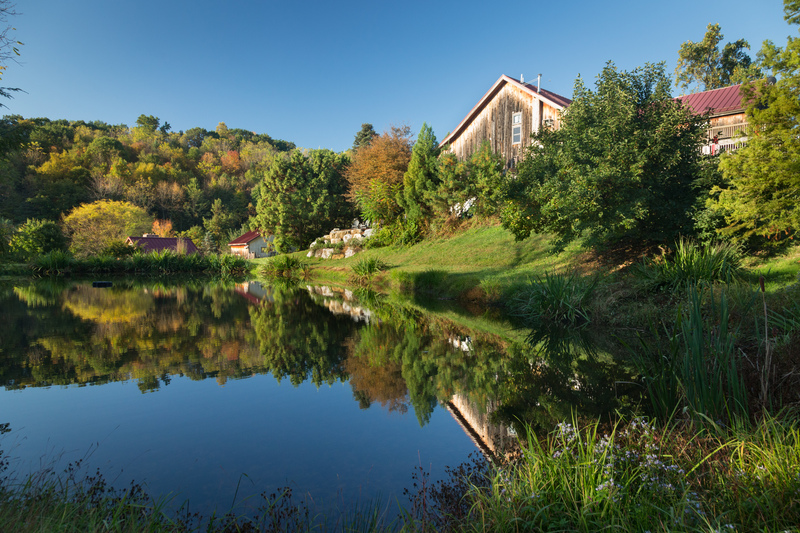 With the gorgeous pond as a backdrop and greenery for as far as the eye can see, Glasbern Inn provides the place for you to retreat and truly rejuvenate. 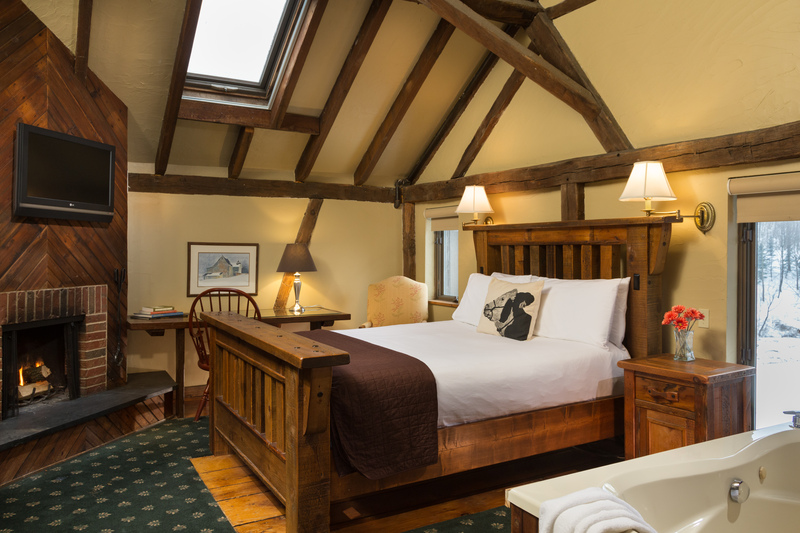 Select from our spacious rooms and suites with cathedral ceilings, luxurious bedding, and thoughtful amenities included for a wonderful stay. 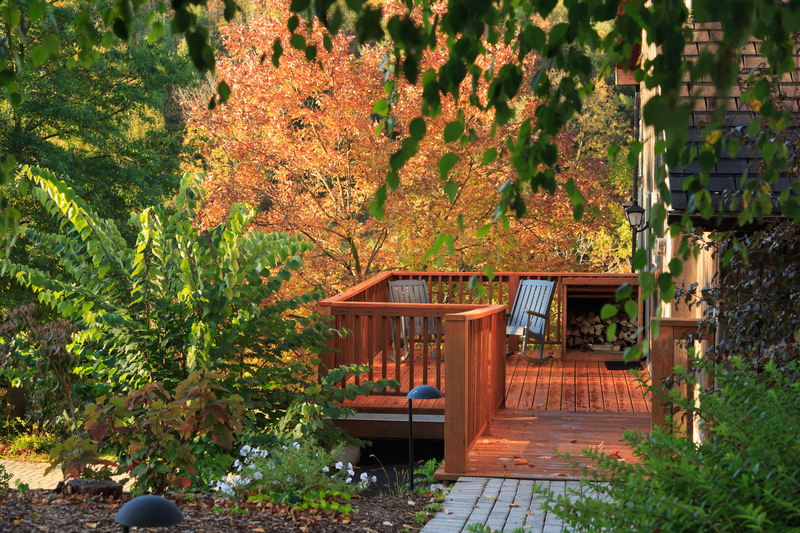 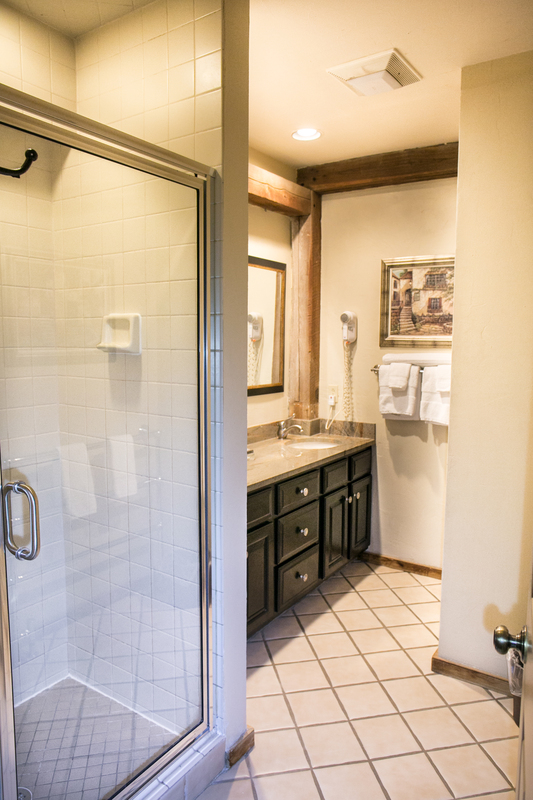 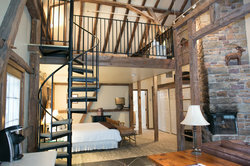 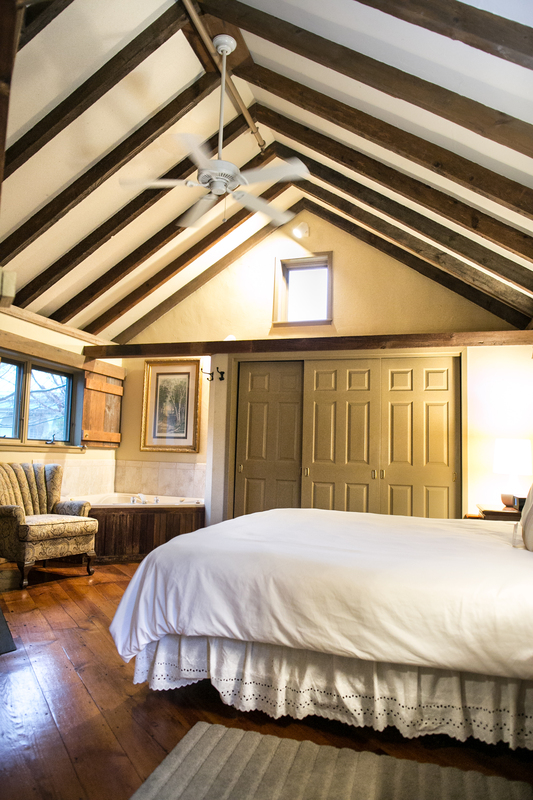 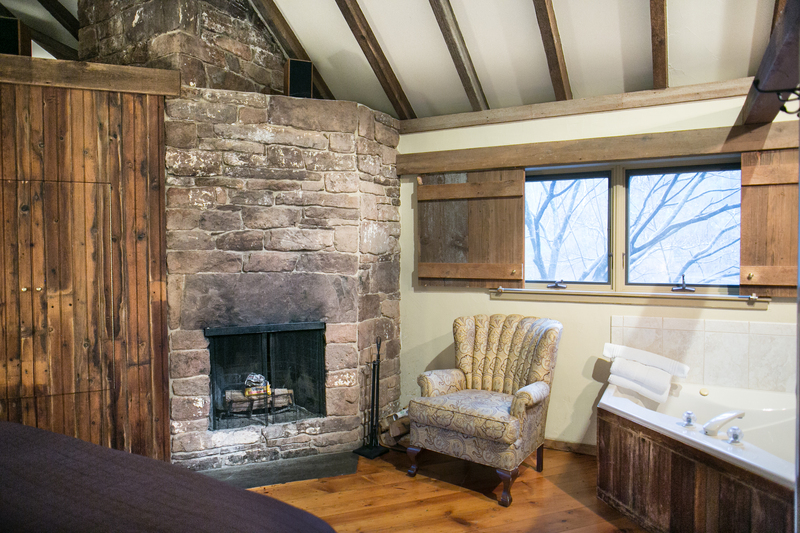 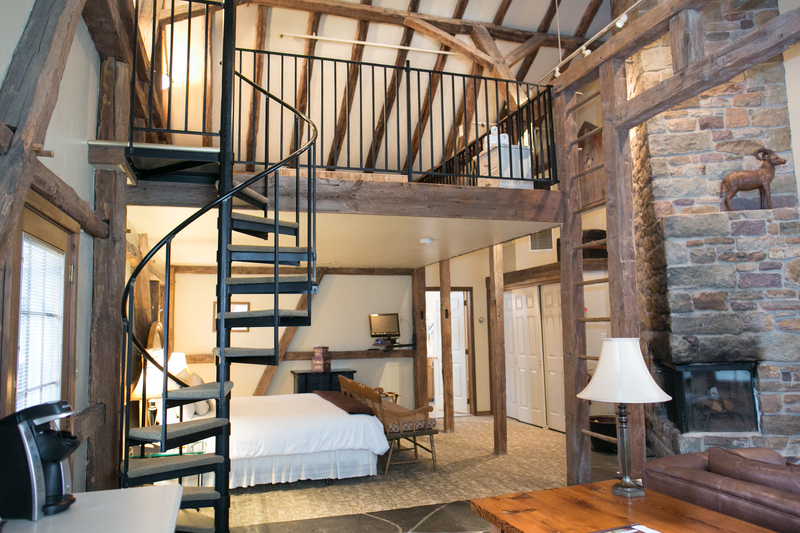 Let all of your daily stresses melt away in one of our suites with gas fireplaces, soaking tubs, and private decks. 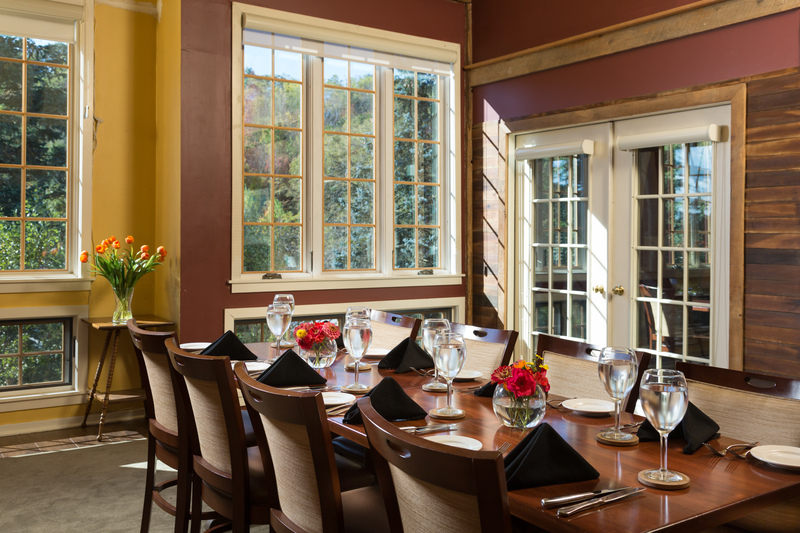 Enjoy a complimentary country-style breakfast and elegant farm-to-table meals in our Main Dining Room here at the Glasbern Inn. 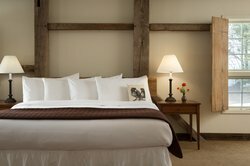 Browse through our selection of special packages and mid-week deals to start planning your stay now! 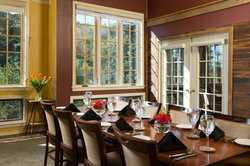 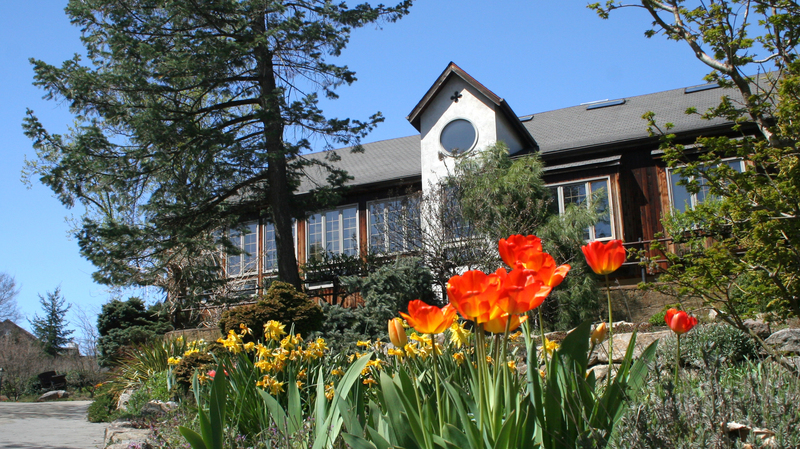 Join us at the Glasbern Inn your ideal location to host your meeting, rustic wedding, or relaxing retreat. 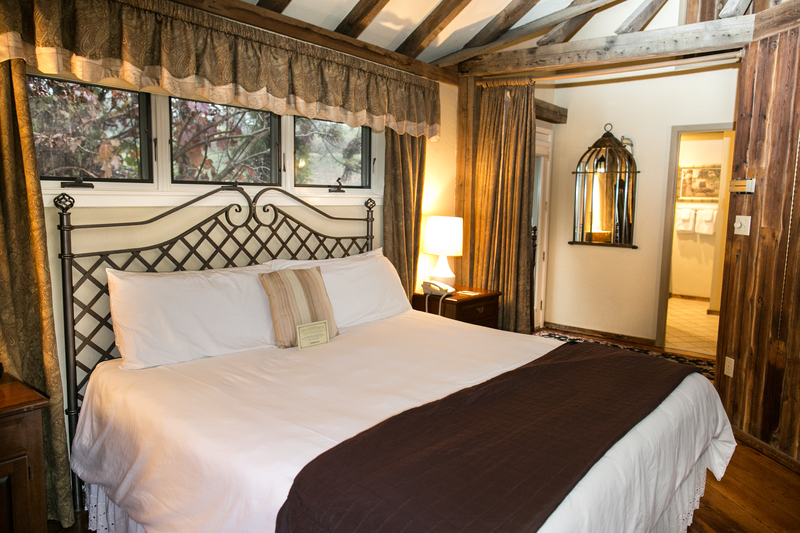 We offer our guests beautifully appointed country suites with complimentary Farm Fresh breakfast as well as 6 meeting rooms, perfect for your country wedding, corporate event, or family reunion. 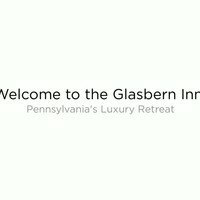 The Glasbern Inn is located in Fogelsville, Pennsylvania just west of Allentown and Bethlehem. 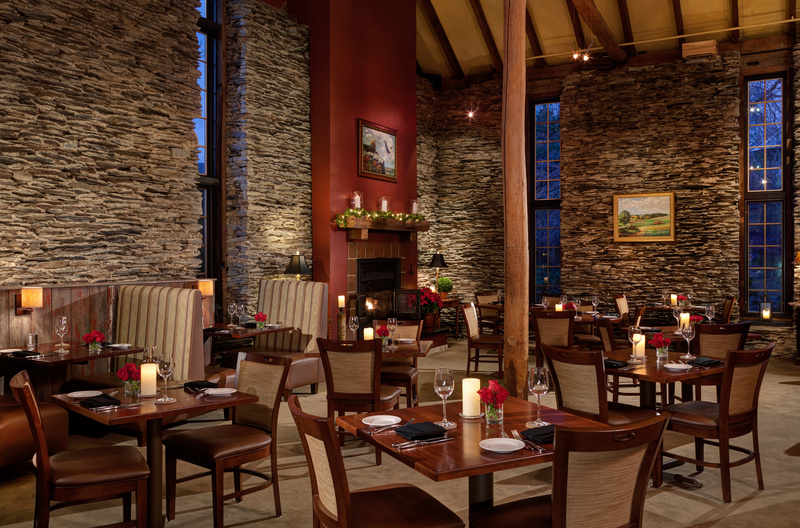 As a proud member of the Pennsylvania Association for Sustainable Agriculture, Local Abundance, and Buy Local of the Lehigh Valley, the Glasbern Inn serves the freshest ingredients at our on-site restaurant. 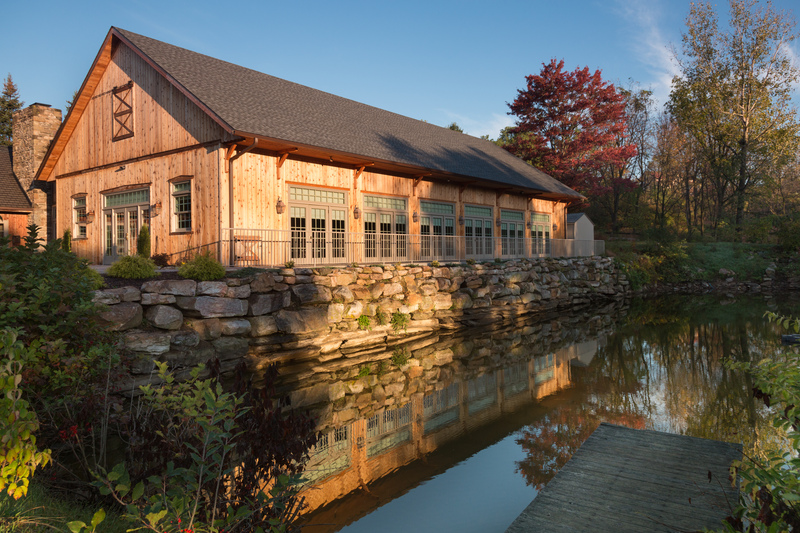 During your stay, why not explore our 150 acre property where you’ll find beautiful walking trails, an outdoor pool, and on-site greenhouse. 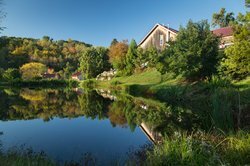 If you’d prefer some fresh outdoor activity, take an invigorating hike along our rolling trails and loop around the koi pond. 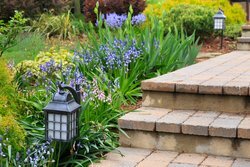 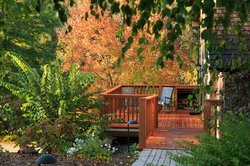 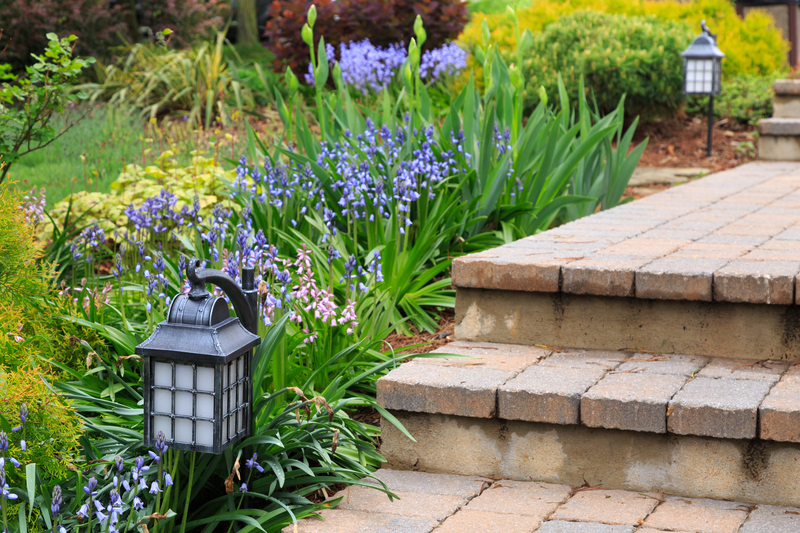 Wander through trees and flowering gardens of perennials to the small patios on our lawn, perfect for unwinding and enjoying the tranquility. 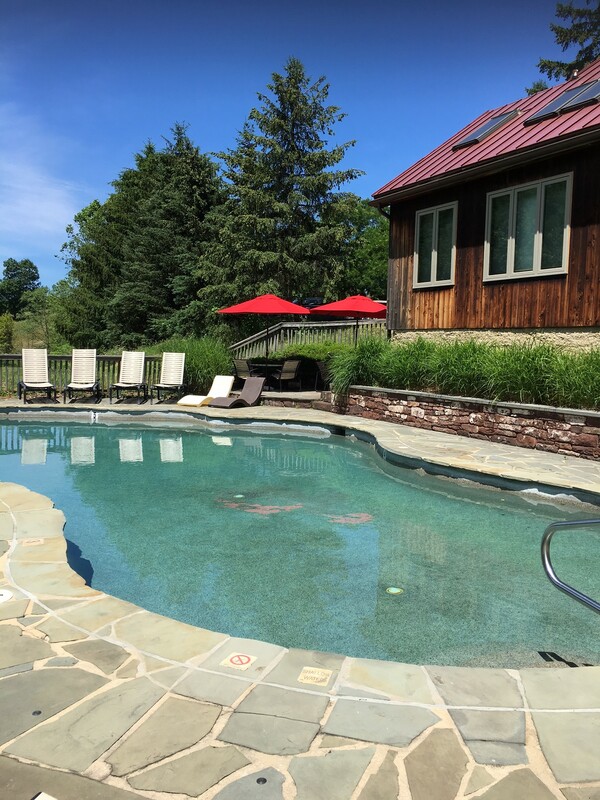 Spend more time outside by our seasonal heated outdoor pool, located just behind the Carriage House. 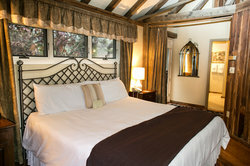 There is an assortment of magazines and copies of USA Today for guests looking to lounge and read. 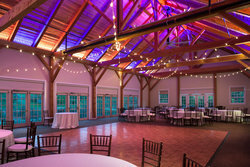 We can arrange airport transportation to Lehigh Valley Airport with one of our local driving services, so you can travel to and from your flight with ease. Please contact our Innkeeper to coordinate this enhanced service. 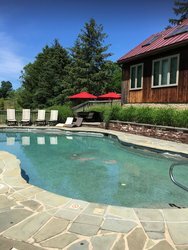 Our hotel with an outdoor pool in Fogelsville offers you a one-stop destination during your vacation, with all the comfortable amenities and indulgent services you’ve been seeking! Glasbern Inn is registered with the Historic Hotels of America. 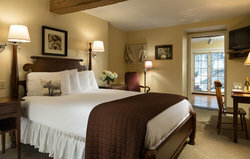 Please note, 5 or more rooms needed per night constitutes a "Group" booking and must be arranged with the Sales Department. 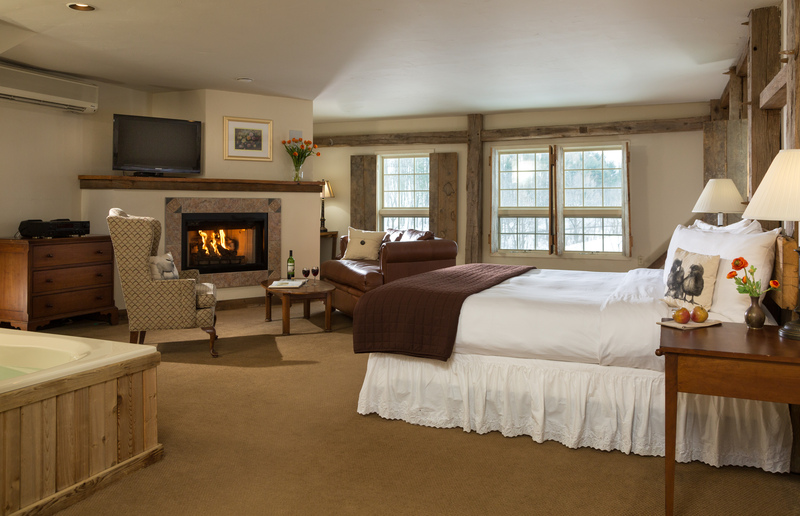 Glasbern fireplaces will be out of service beginning July 4 through Labor Day. 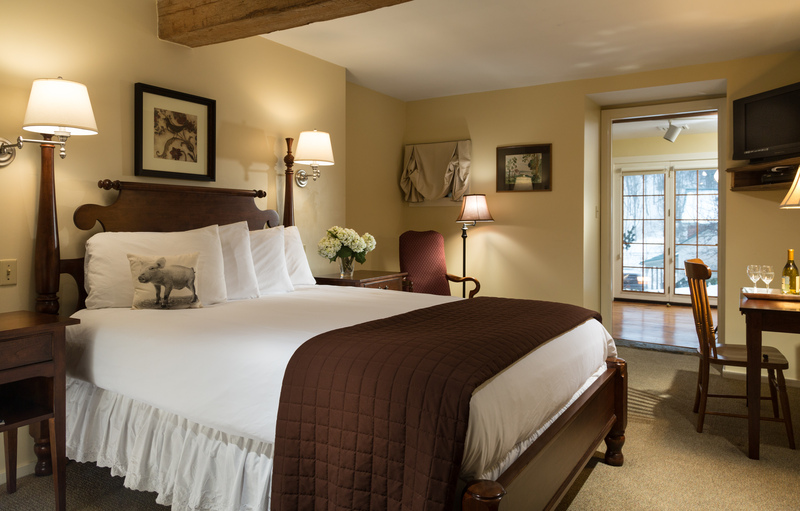 Glasbern Inn offers a dream within your reach – a picturesque venue at a competitive price point and the complete guest experience. 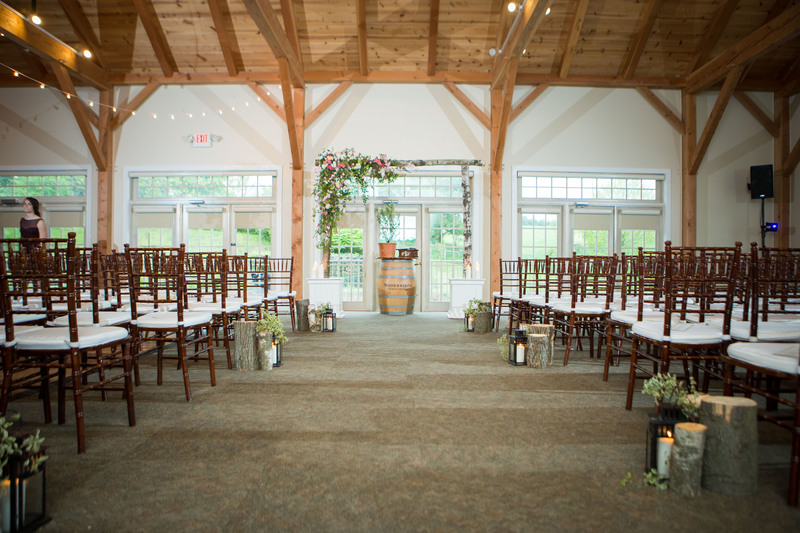 It’s rare to find a property that specializes in business meetings and farm weddings alike. 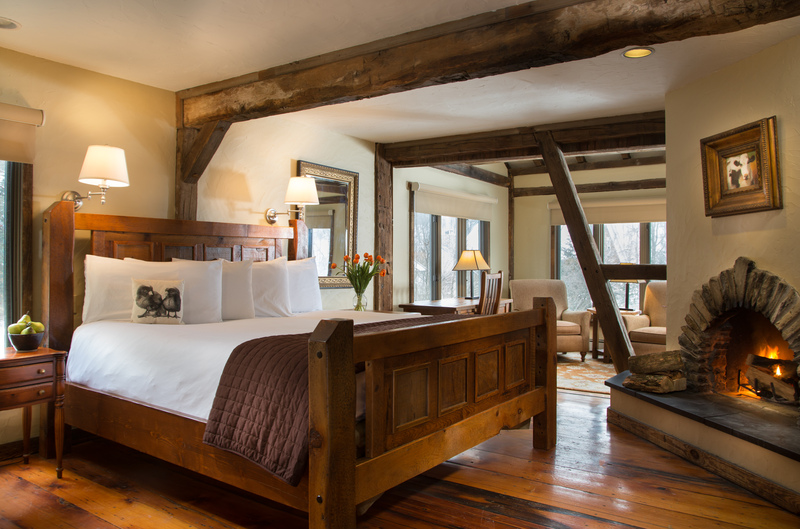 Start planning your visit to our historic inn today! 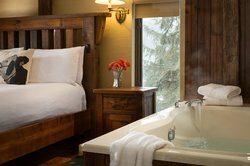 Step into your private attached sunroom in the Whirlpool Suite and let your stresses melt away in your relaxing two person whirlpool. Our spa is designed with romance in mind, featuring side-by-side tables that are perfect for intimate couples’ massages. Not to worry if you’re traveling solo – relax in the comfort of your own private appointment. We try to accommodate all requests at our historic inn. 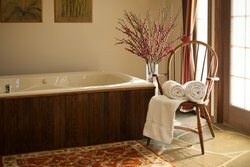 Please call the Innkeeper at 610-285-4723 at least 5 days prior to your stay to make your spa reservation, and fill out our form to begin planning your treatment at our spa in Lehigh Valley! 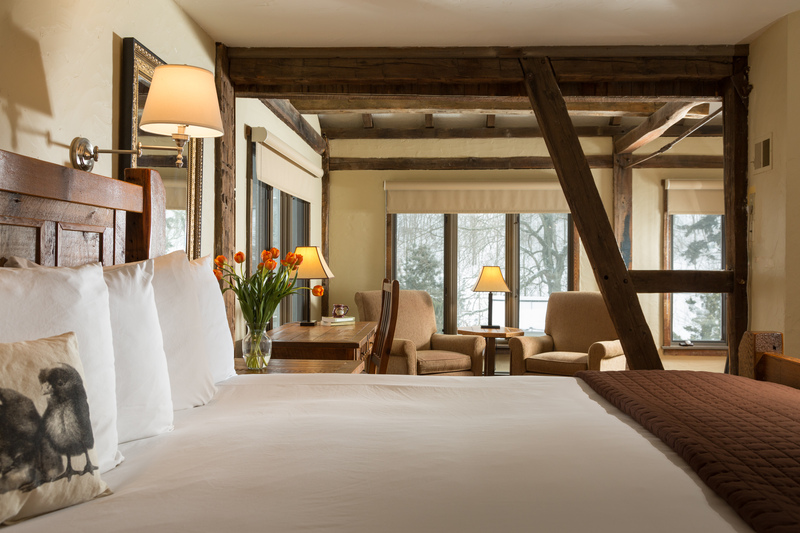 Indulge in a massage or treatment within your suite. 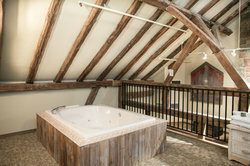 Some of our suites also feature soaking tubs so you can sink into a hot bath after a long day. 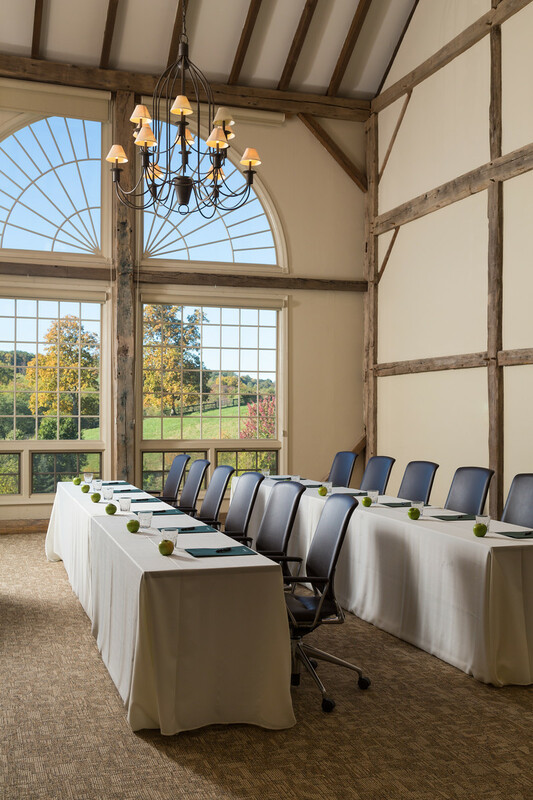 Escape to our 150-acre property, which will provide your team with a refined, secluded, and productive environment that can be easily customized for your multi-day meeting. 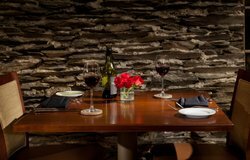 Impress at your dinner over a variety of delectable menu items such as our succulent grass-fed beef tenderloin, Glasbern’s own meatloaf, and our crisp pear and arugula salad. 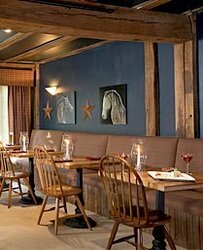 After your meal in the Dining Room, linger in the Pub for a drink and snacks. 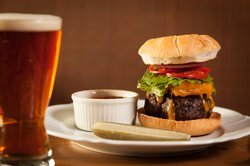 We offer elevated American classics and a variety of beer, fine wine, and mixed drinks. 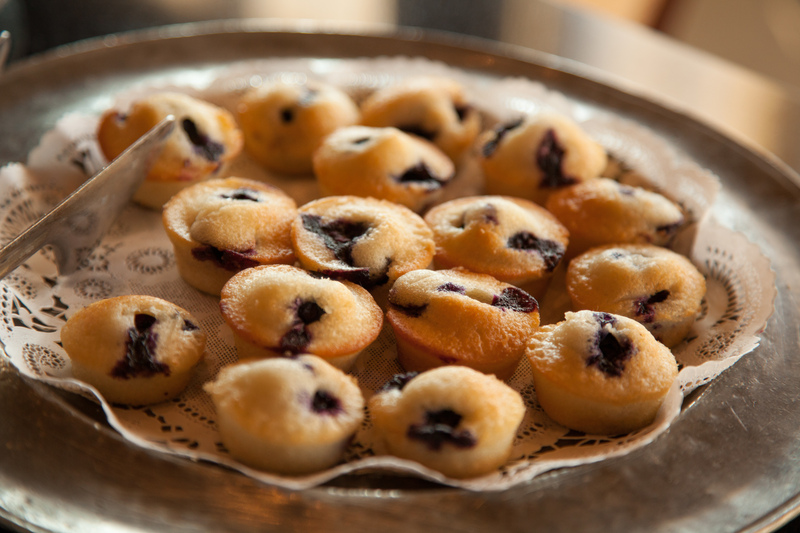 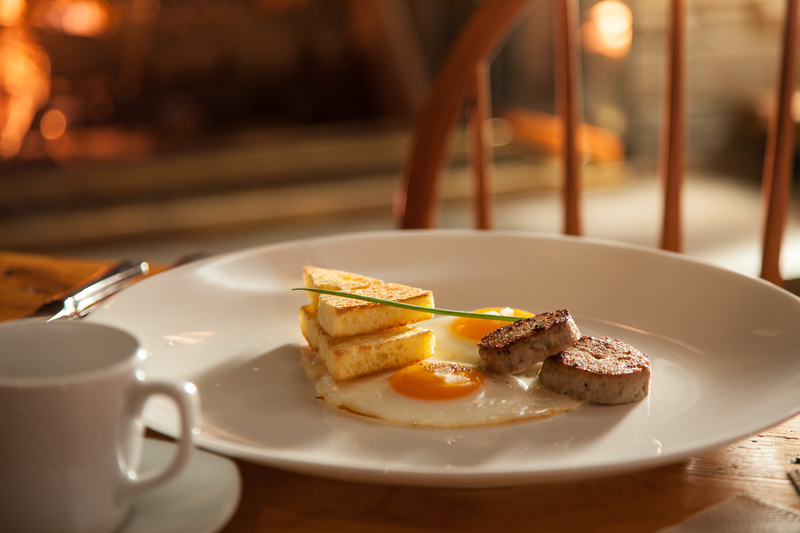 Begin your morning with a complimentary, full country-style breakfast. As you come down to the dining room, a continental breakfast of fruit, yogurt, granola, and blueberry scones will be laid out for you to start with your morning coffee. 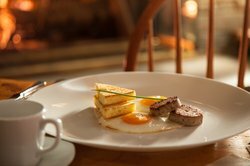 Then, order from our hot plated menu for American favorites such as eggs benedict, crème brulee French toast, pancakes, and fresh eggs just the way you like them. 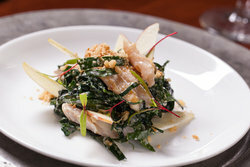 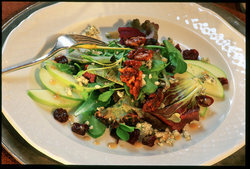 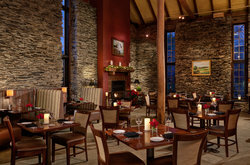 Our farm-to-table menu in the Main Dining Room offers guests a sustainable and elegant dining experience. 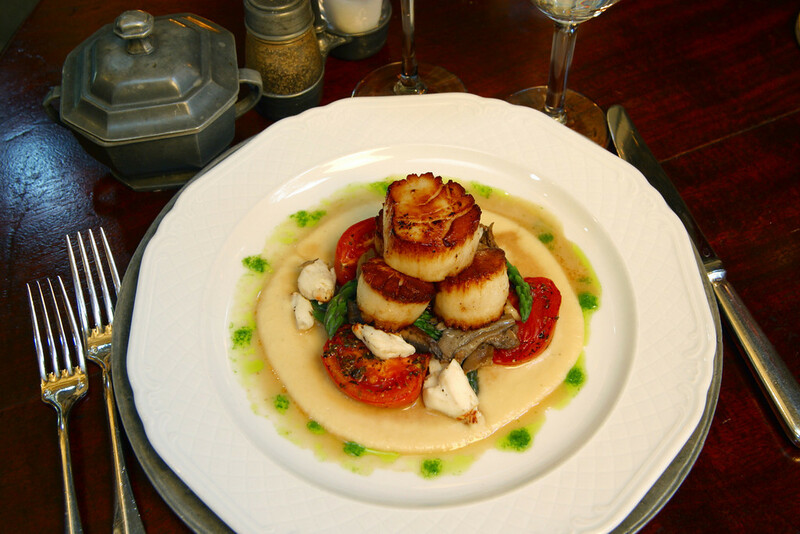 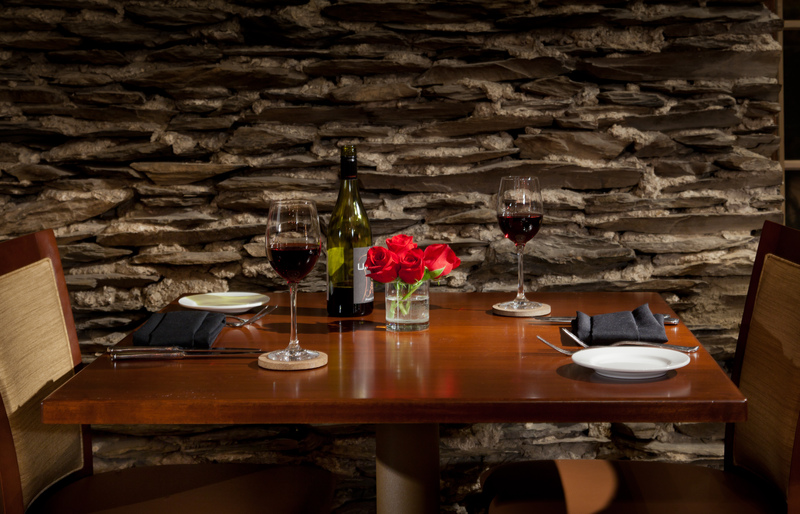 Learn more about Dinner at Glasbern Inn. 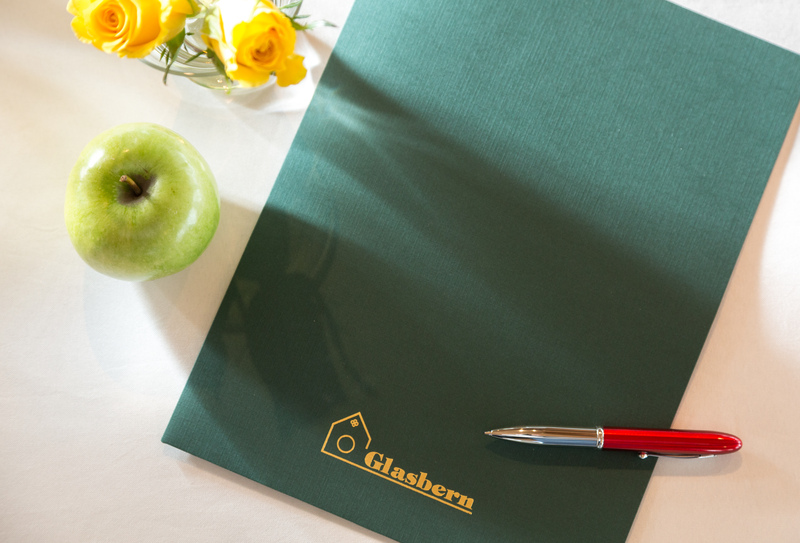 Glasbern's Chef is interested in learning more about your dining experience, culinary related suggestions, or questions about our existing menus here at the Glasbern Inn restaurant. 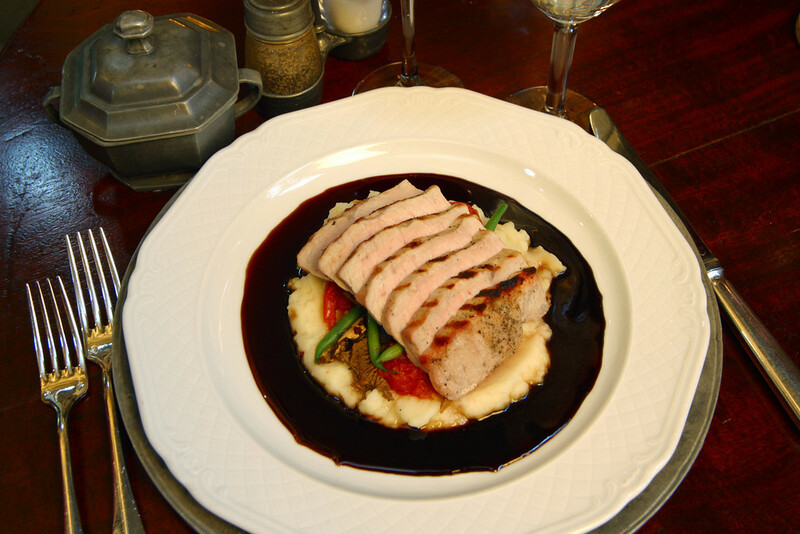 Click here to contact our Chef and send us your thoughts. Cuisine that relies on sustainable local produce refers to the distance in which the food has traveled from where it grew to your dining table. 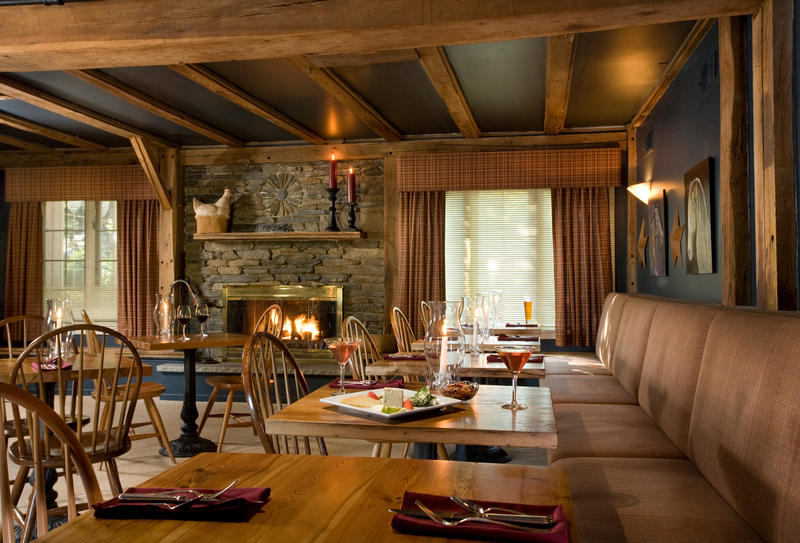 Here at the Glasbern Inn restaurant, we source a large majority of the food locally, and some ingredients are harvested right from our sustainable farm. Our greenhouse provides us with some of the freshest possible herbs and garden greens. 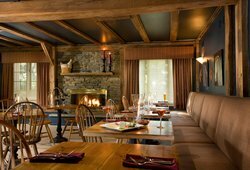 Our farm-to-table menu in the Main Dining Room offers guests a sustainable and elegant dining experience. 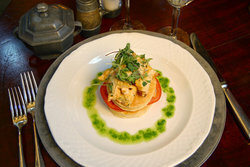 Find out more about our Dining. 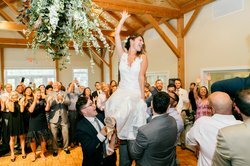 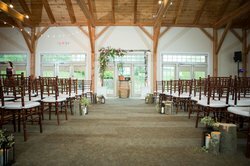 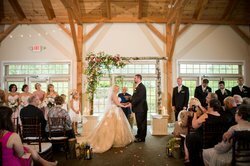 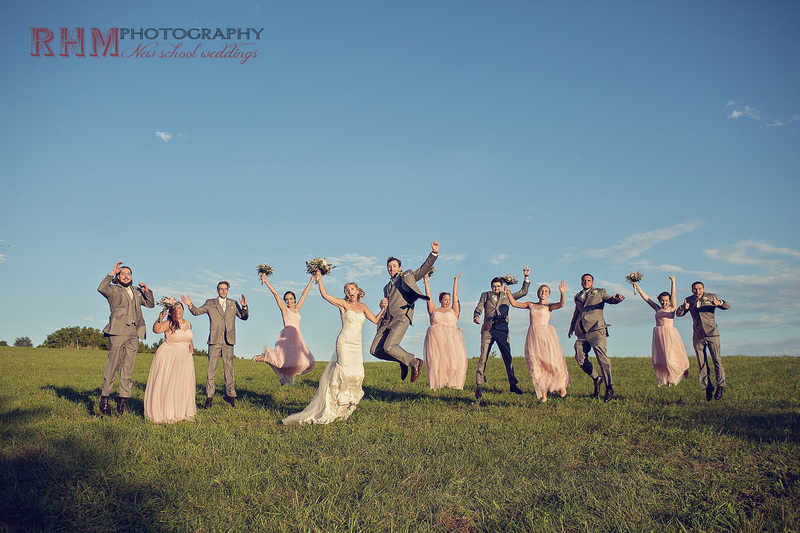 Celebrate your special day with us at our rustic farm property in Lehigh Valley, Pennsylvania, overlooking a pond and hillside pastures. 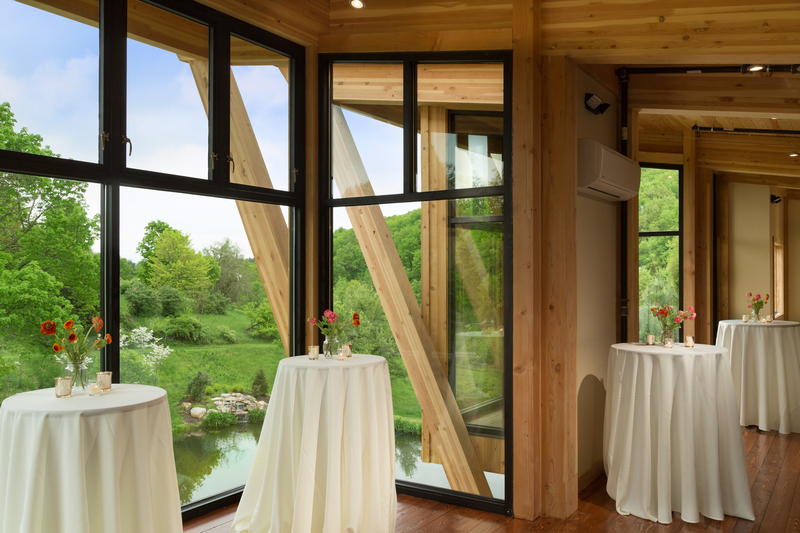 Celebrate with us at Glasloft, a new intimate venue overlooking one of Glasbern's pristine ponds and rolling hills. Glasloft is ideal for special gatherings of up to 80 guests, offering stunning views, farm-fresh culinary offerings, and Glasbern's distinctive style. 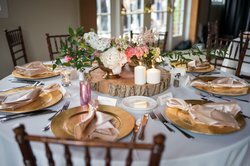 We offer a number of venue and catering options to help you create the intimate destination wedding you’ve always dreamed of. 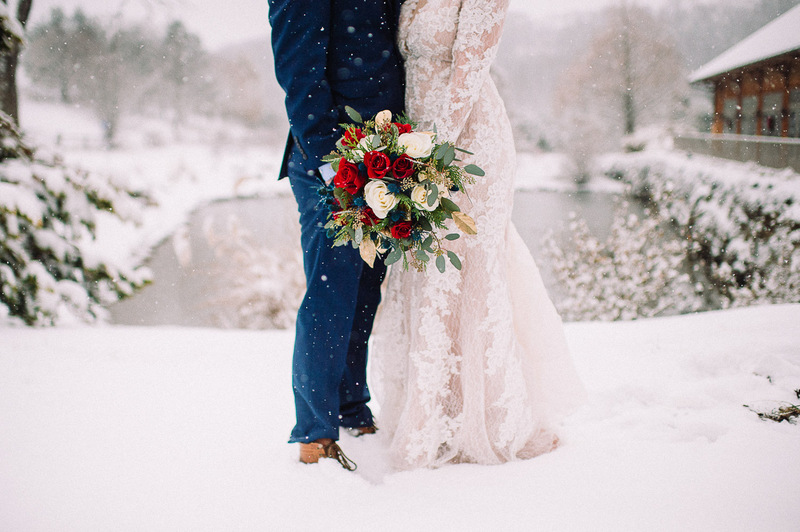 Whether it be an outdoor countryside ceremony or an intimate winter wedding, you’re sure to create memories that’ll last a lifetime. 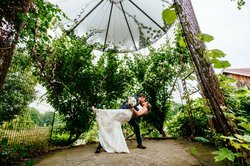 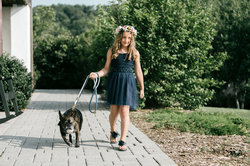 150-acre sustainable farm where rolling hills, picturesque ponds, and natural beauty set the stage for your wedding celebration. Dine, dance, and enjoy Glasbern's rustic elegance, farm-fresh culinary offerings, refined countryside suites, and the luxurious amenities of our historic Pennsylvania inn and spa. 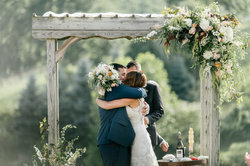 Whether you're planning a grand LGBTQ+ wedding celebration, an intimate gathering of friends and family, or a romantic honeymoon escape, our wedding professionals are here to help you plan the day of your dreams. 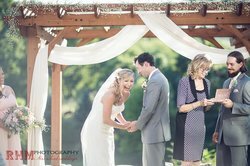 Plan with ease, with the assistance of our helpful Wedding professional, who can help bring your vision to life and tailor your special day to suit you and your spouse. 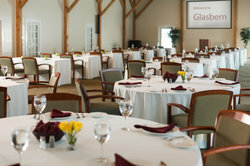 Rolling hills, picturesque pastures and pristine ponds set the backdrop for your wedding at Glasbern. With the helping hand of our team of wedding professionals, plan your petite, intimate, or grand celebration with your choice of outdoor or indoor ceremony. Complemented with our on-site spa, and 37 distinctive rooms and suites, Glasbern offers nearly everything needed for your perfect wedding celebration. 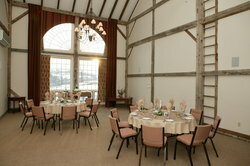 Plan your petite ceremony in the Grainery, ideal for up to 16 guests. 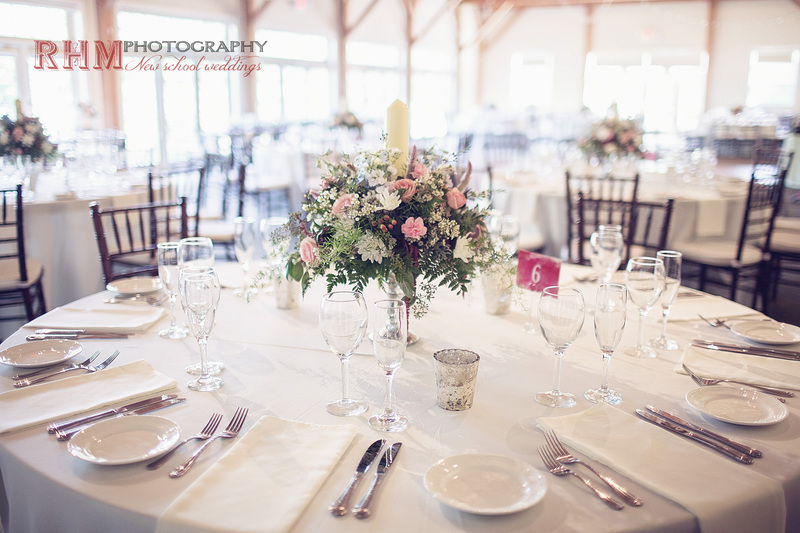 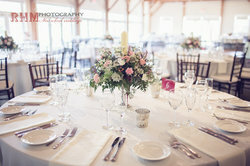 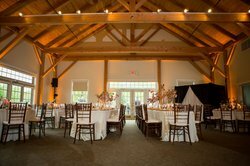 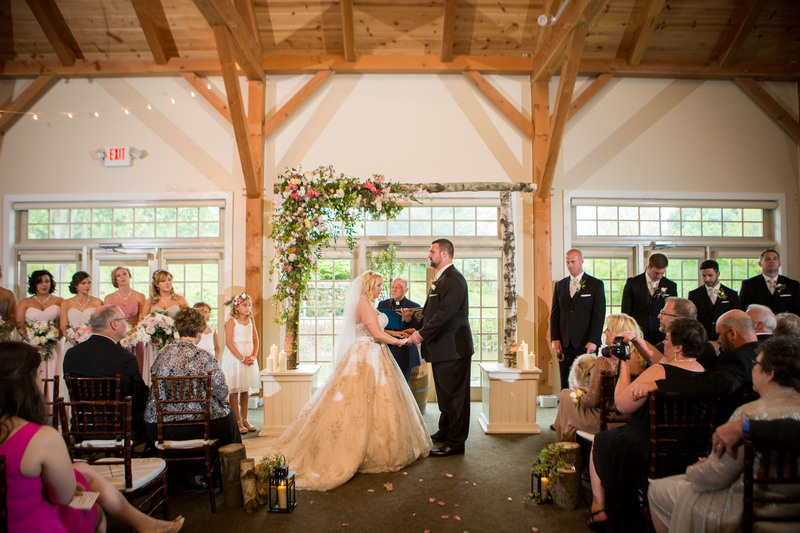 Located inside our elegant Main Barn, this romantic venue is perfect for keeping close those who matter most. 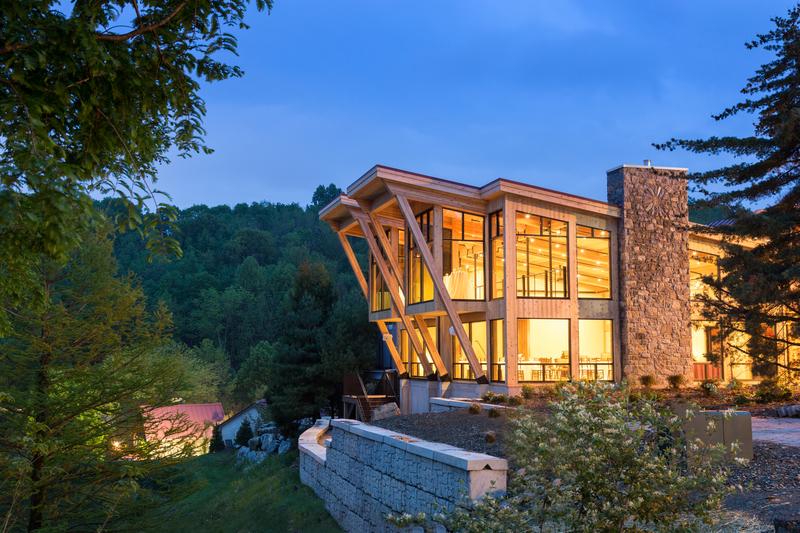 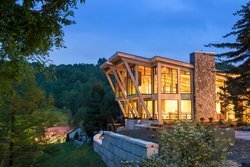 For grand celebrations, the all-season Old Lodge accommodates 150 guests to host all of your friends and family against a tranquil and private backdrop of hillside pastures. 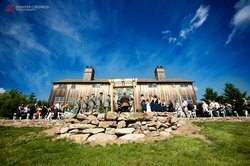 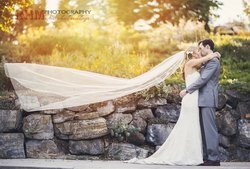 Our dramatic hillside pastures create the perfect backdrop for outdoor ceremonies, while the romantic stone fireplace and pond views of the Grand Lodge set an exquisite stage for intimate destination wedding celebrations. 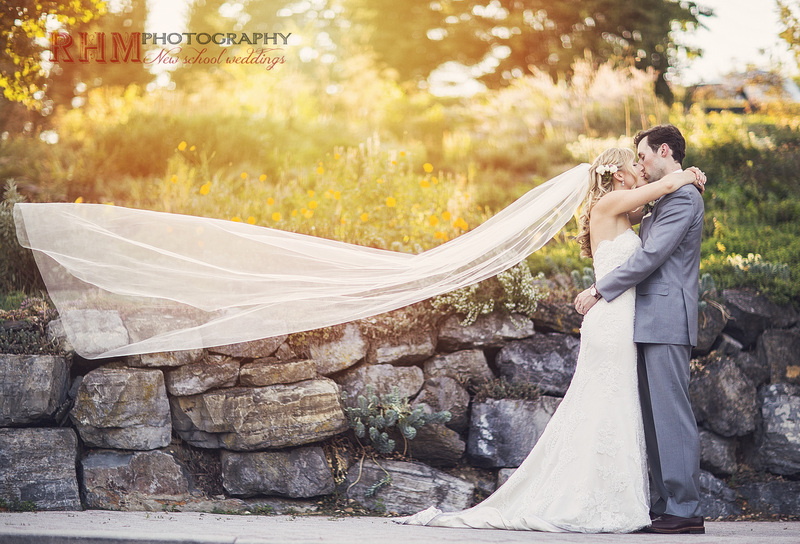 Come share your love for each other and your special day with us! 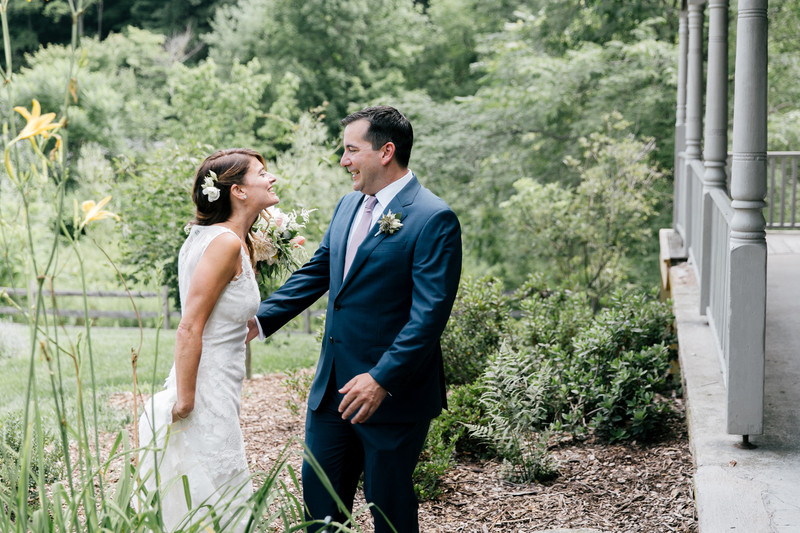 Bring your partner and marvel at our 150-acre sustainable farm where rolling hills, picturesque ponds, and natural beauty set the stage for your wedding celebration. 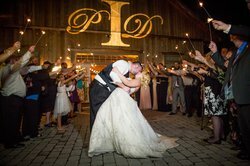 Thursday is the new Saturday, and so is Monday, Tuesday, and Wednesday so come celebrate your wedding with us at Glasbern during the week. 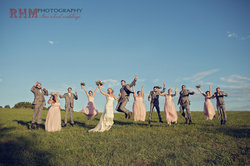 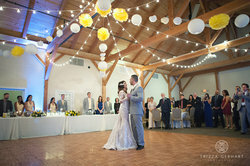 Some couples select a Midweek Wedding due to professional obligations on Fridays and Saturdays. 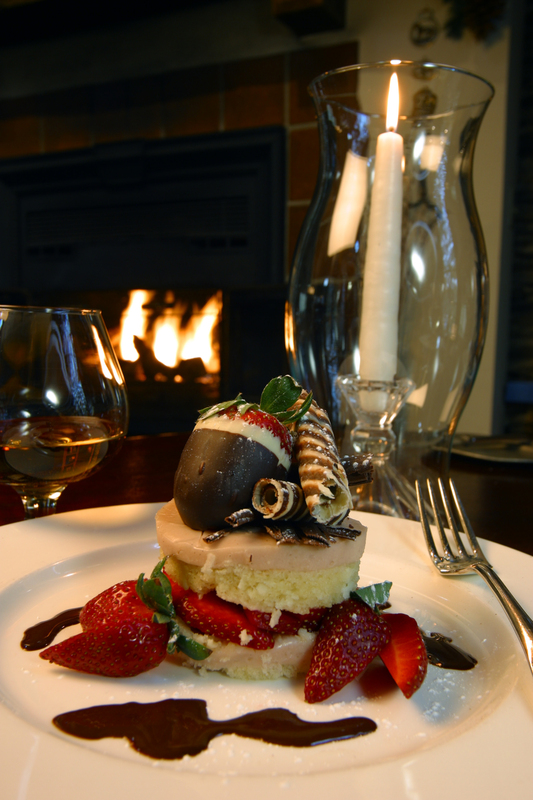 Others enjoy the tremendous value our Midweek Packages offer; some enjoy both! 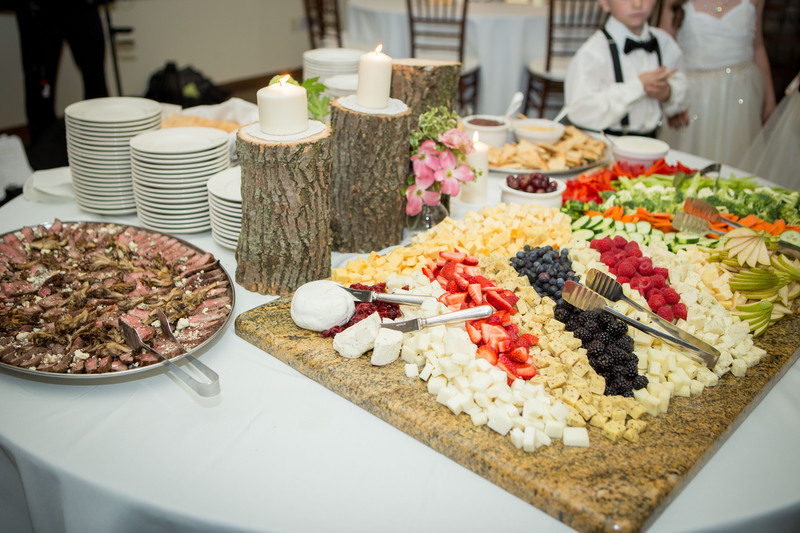 Thursday is the new Saturday, and so is Monday, Tuesday, and Wednesday, so come celebrate your wedding with us at Glasbern during the week. 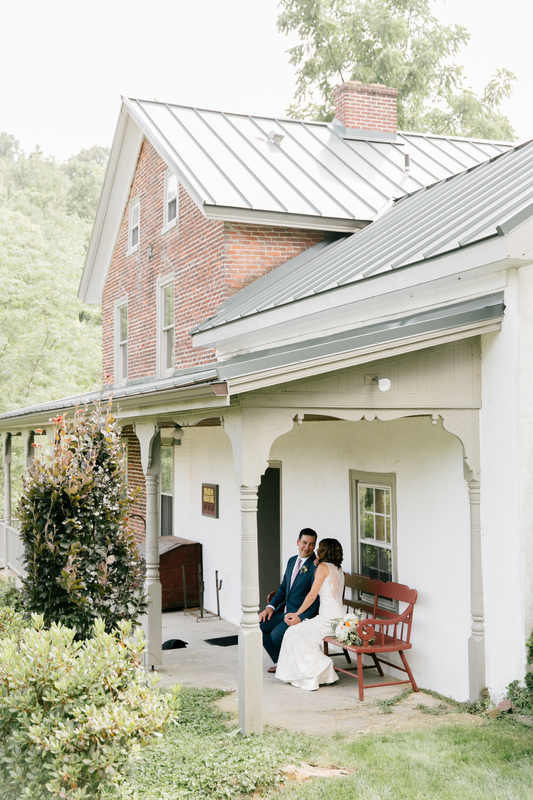 Retreat to the countryside for a Glasbern Inn wedding and begin your lives together with everyone who matters most in the midst of a picturesque backdrop. Whether you're planning a petite, intimate, or grand celebration, let us assist you with bringing your vision of your special day come to life. 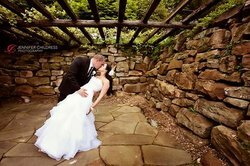 Consult our Luxury Destination Wedding Packages guide for more information and start planning your dream day! 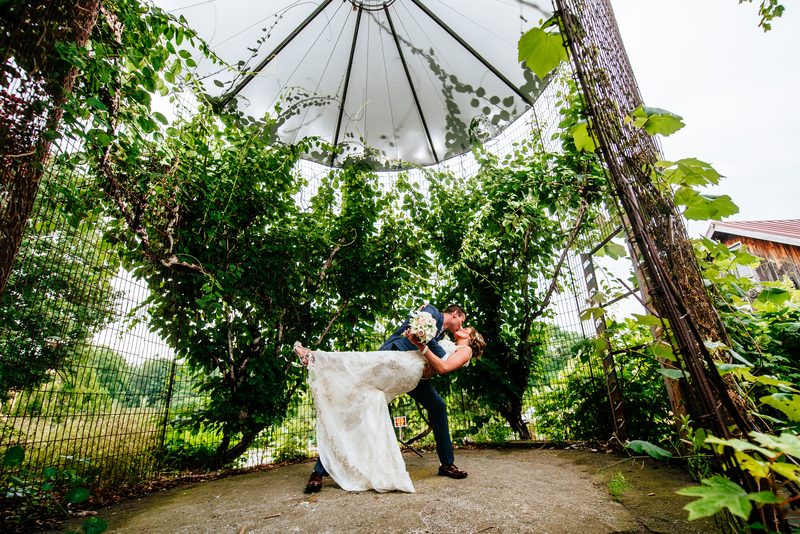 See Nicki & Brendan's Day at Glasbern. 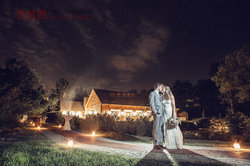 Dustin Weiss Photography at Glasbern. 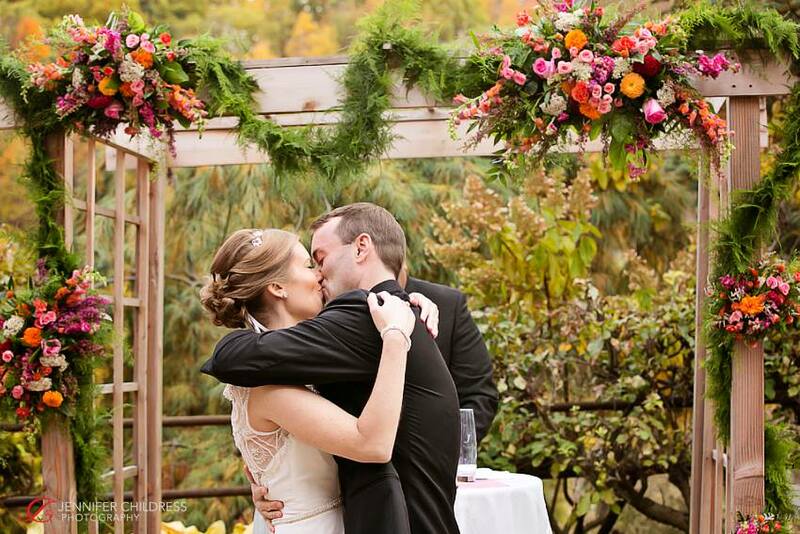 Come share your love for each other and your special day with us! 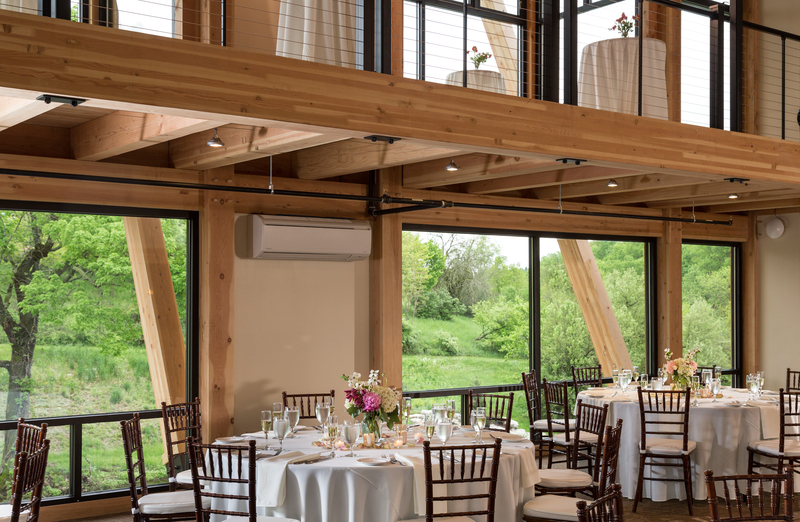 Bring your partner and marvel at our 150-acre sustainable farm, where rolling hills, picturesque ponds, and natural beauty set the stage for your wedding celebration. 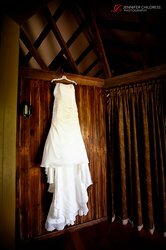 The rustic, yet refined Glasbern Inn facilities are able to accommodate weddings of various sizes in several stunning venues. Consult our website for more information and start planning your dream day! 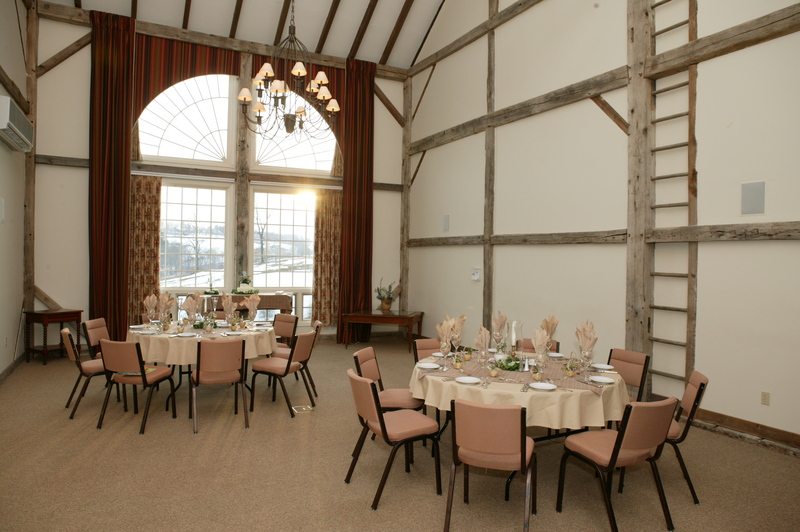 Plan your petite ceremony in the Grainery, ideal for up to 16 guests. 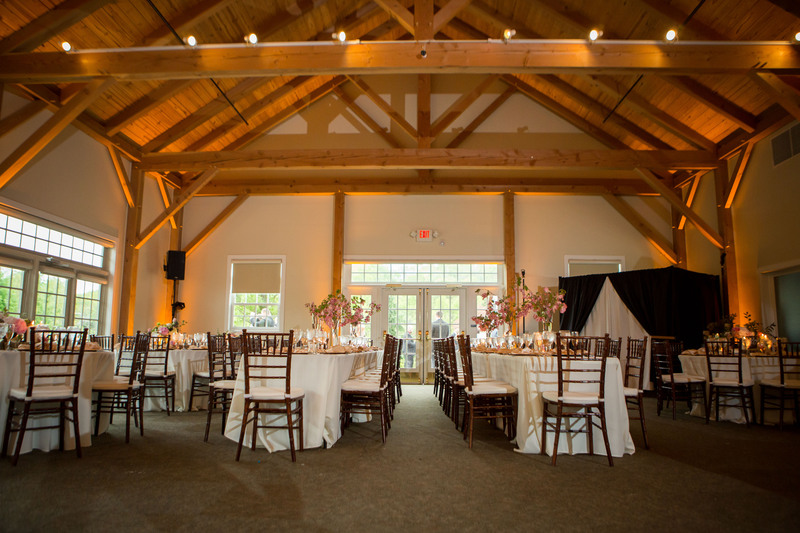 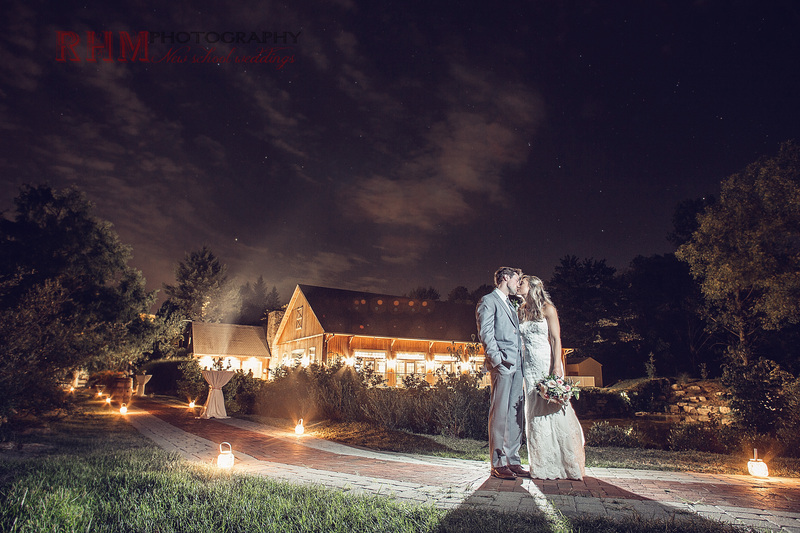 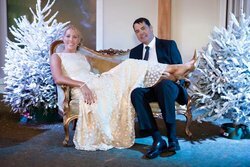 Located inside our elegant Main Barn, this romantic venue is perfect for keeping close to those who matter most. 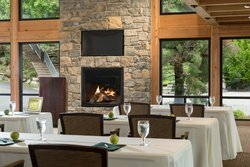 For grand celebrations, the all-season Grand Lodge accommodates 150 guests to host all of your friends and family against a tranquil and private backdrop of hillside pastures. 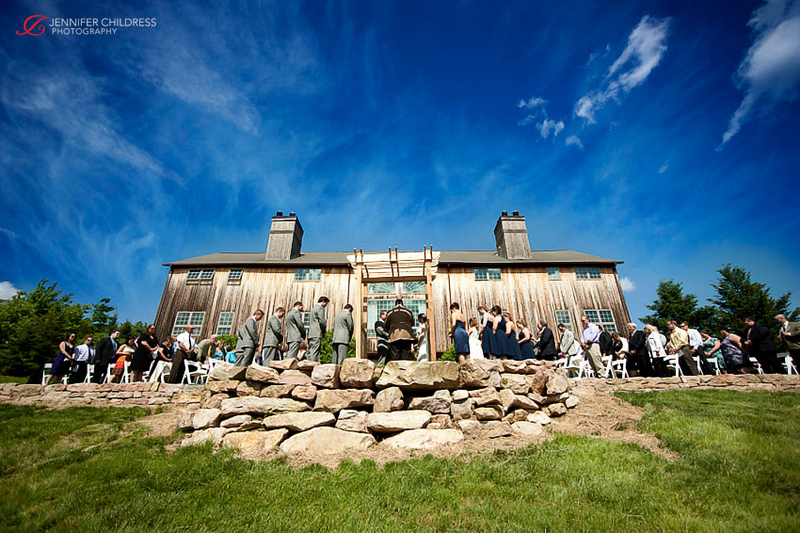 Rolling hills, picturesque pastures and pristine ponds set the backdrop for your wedding at Glasbern. With the helping hand of our team of wedding professionals, plan your petite, intimate, or grand celebration with your choice of outdoor or indoor ceremony. 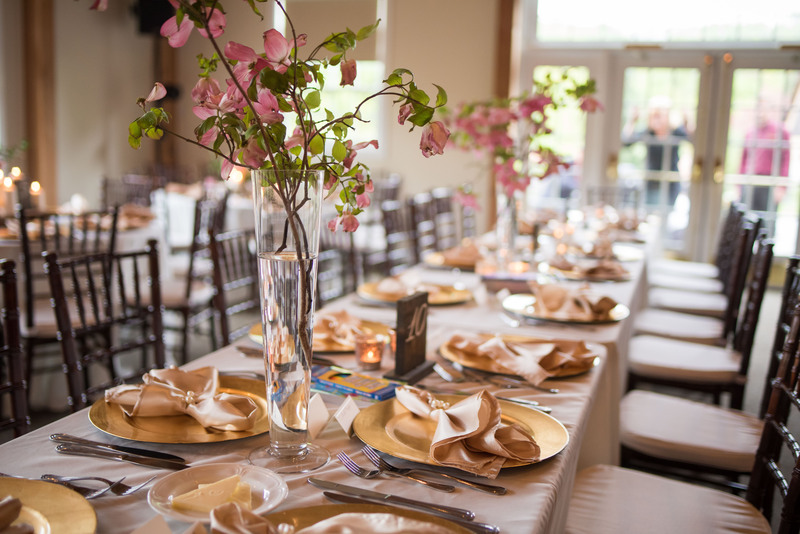 Complemented with our on-site spa, and 37 distinctive rooms and suites, Glasbern offers nearly everything needed for your perfect wedding celebration. 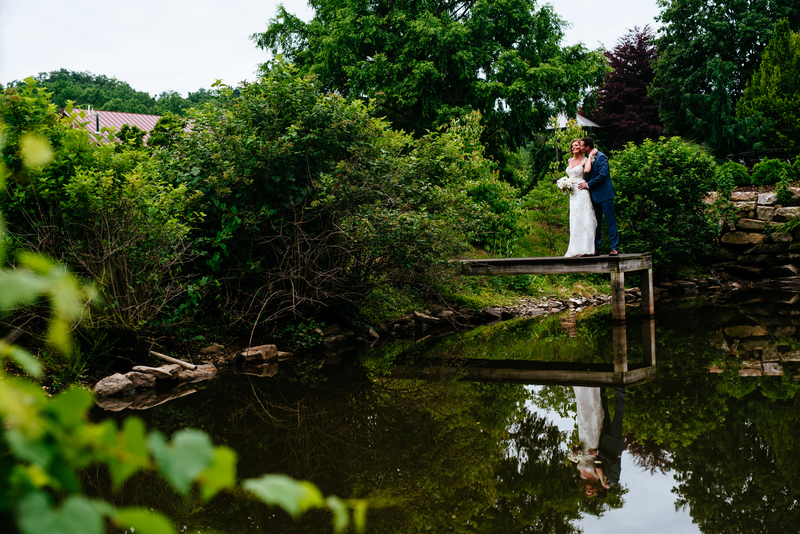 Celebrate your special day with us at our rustic farm property in Lehigh Valley, Pennsylvania, overlooking a pond and hillside pastures. 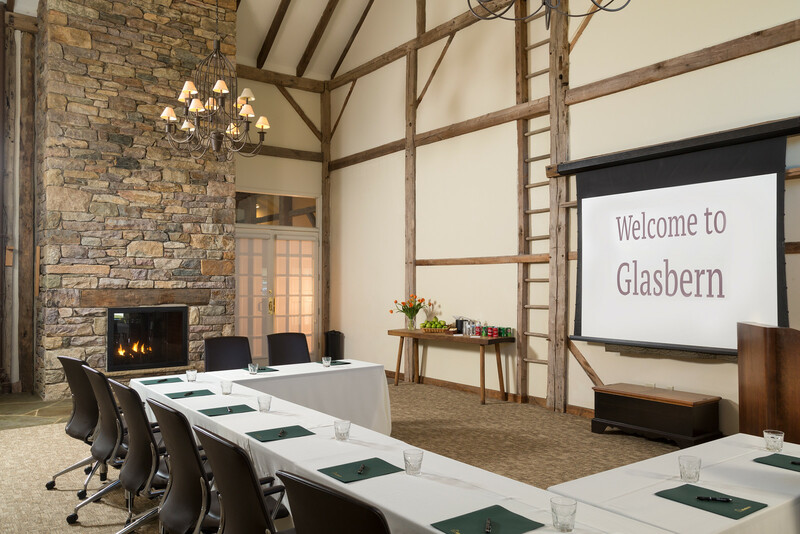 Our newest venue Glasloft features a breathtaking glass wall and stone fireplace. 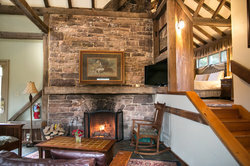 For full details, and more information, please click here. 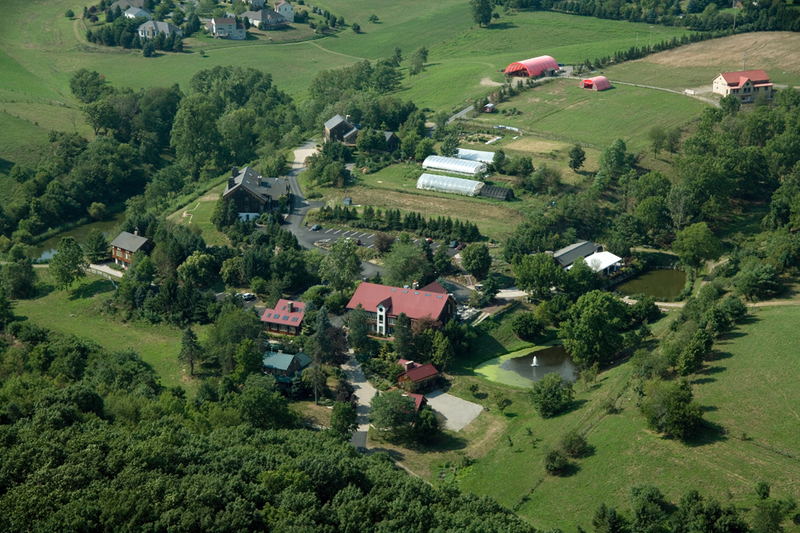 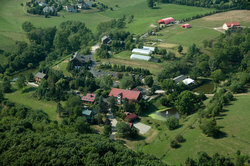 Glasbern's 150 acre sustainable farm combined with our dozens of luxurious, yet rustic guest rooms and tranquil event venues are ideal for executive retreats, family reunions, and destination weddings. Improve trust and communication through friendly competition during your time with us. 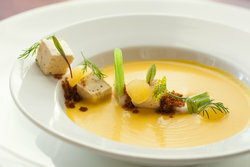 Rise above the ordinary and take a cooking class in our Main Dining room under the supervision of Glasbern’s chef. The lush pastures and dappled sunlight through the trees offers a secluded spot for learning about photography or embarking on a scavenger hunt with your team. Enhance your knowledge of sustainable living and plant in our greenhouse. Glasbern allows you to think outside the standard meeting room and shape your team as a whole. 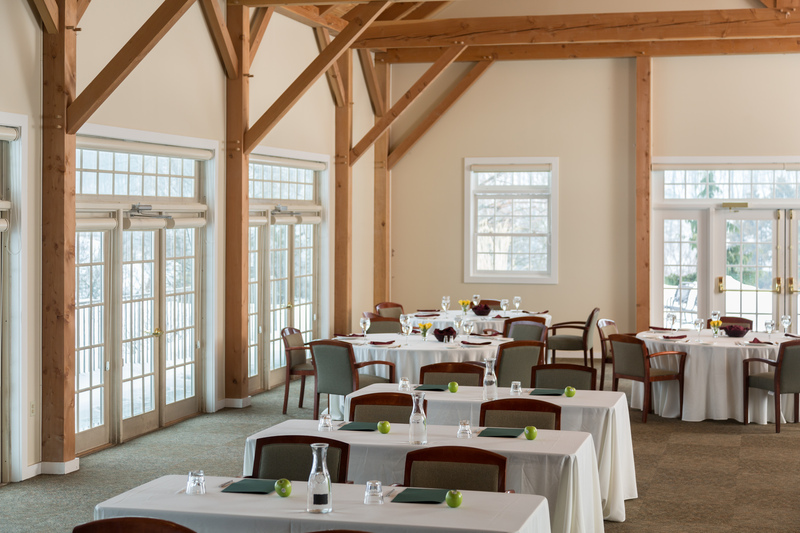 We are located about one hour from Philadelphia and under two hours from New York City making us an accessible option for your family reunion, corporate event, or business meeting. 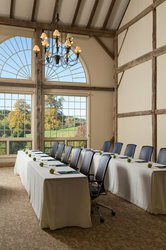 Get away for a multi-day meeting or retreat with your team and return home refreshed. 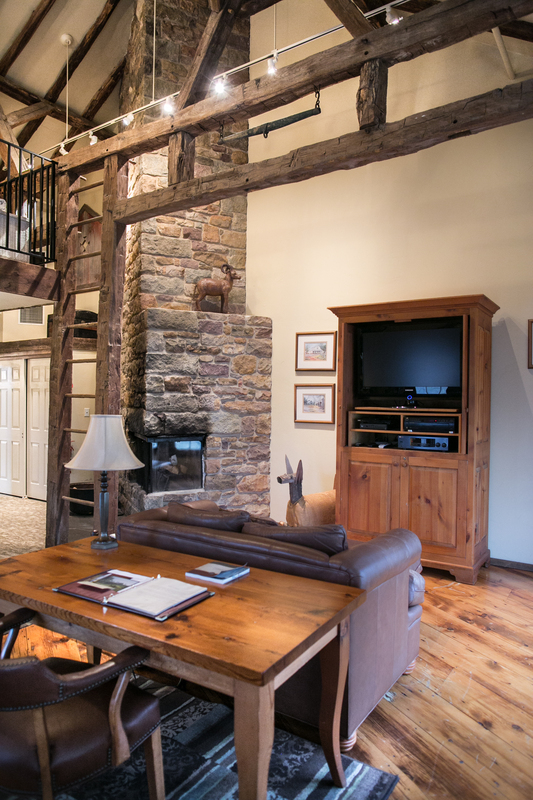 Get away from the city and plan your next executive retreat in a setting that will both entertain and restore. A meeting and event venue in Lehigh Valley like no other, Glasbern offers the perfect harmony of productive workspace and picturesque surroundings, close by the Allentown and Bethlehem area. 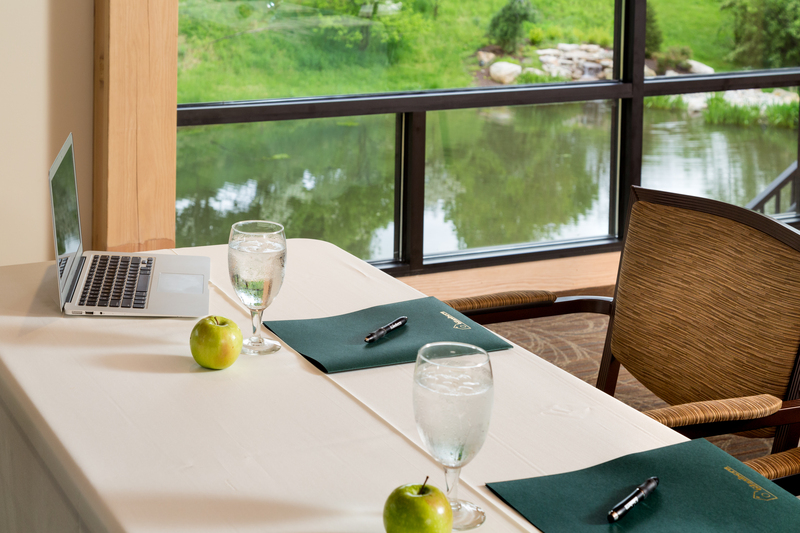 Enjoy everything you need and want at your fingertips while traveling on business to our Preferred Hotel. We are located about one hour from Philadelphia and under two hours from New York City, making us an accessible option for your family reunion, corporate event, or business meeting. 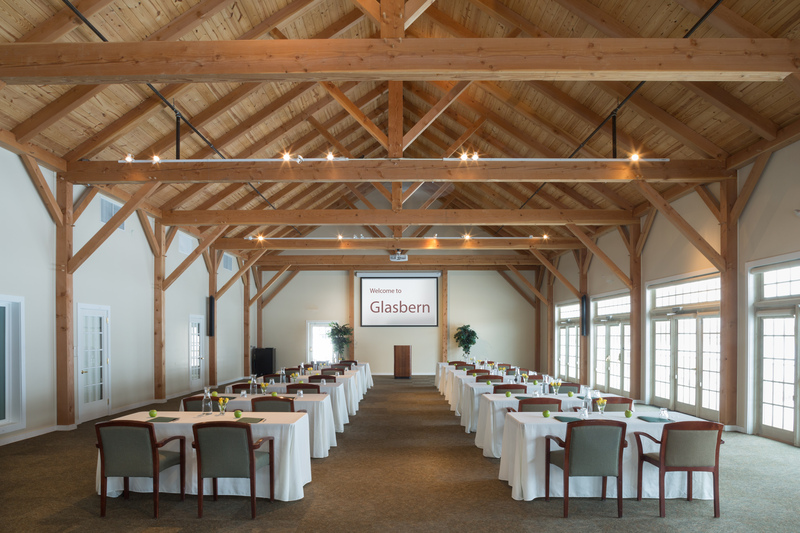 A meeting and event venue in Lehigh Valley like no other, Glasbern offers the perfect harmony of productive workspace and picturesque surroundings, close by the Allentown and Bethlehem area. 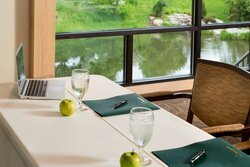 Enjoy everything you need and want at your fingertips while traveling on business to our Preferred Hotel. 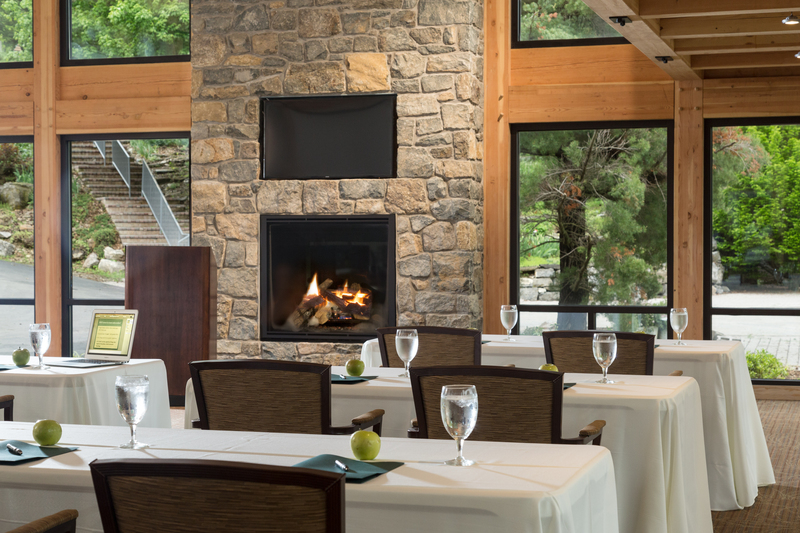 With up to 3,200 square feet of available and dynamic space, complement your choice of meeting room with our large reception area for you and your colleagues to relax. 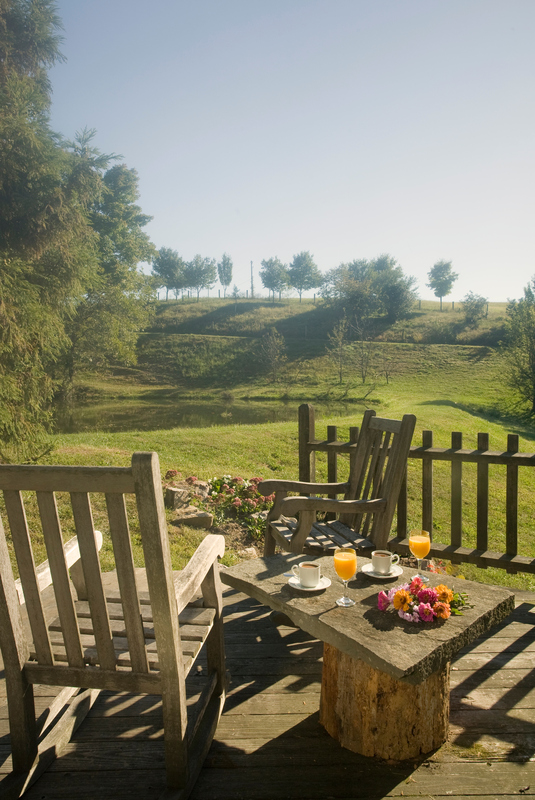 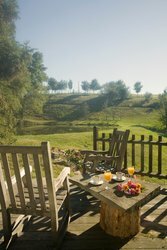 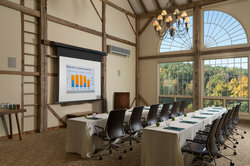 For successful executive-level retreats, the Glasbern Country Inn has great retreat packages that make it easy to plan, book and look forward to. 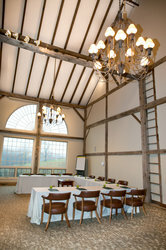 Watch our Meeting video to see our venue in action! To begin planning your meeting at the Glasbern Inn, please fill out the form below. 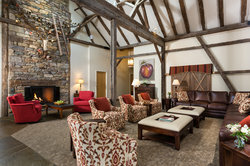 For more information, contact us at 610-285-4723. 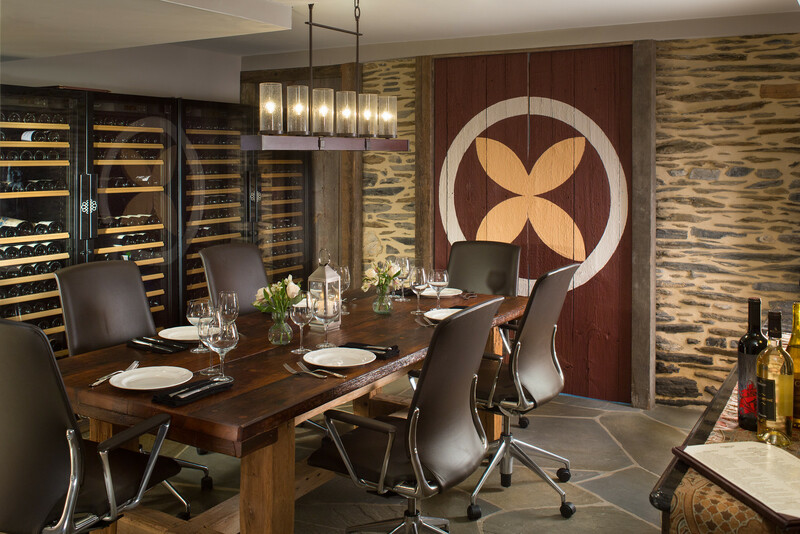 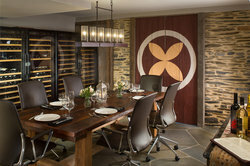 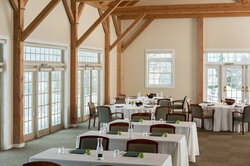 View our Glasbern Meeting and Events Package, for retreat and menu information. 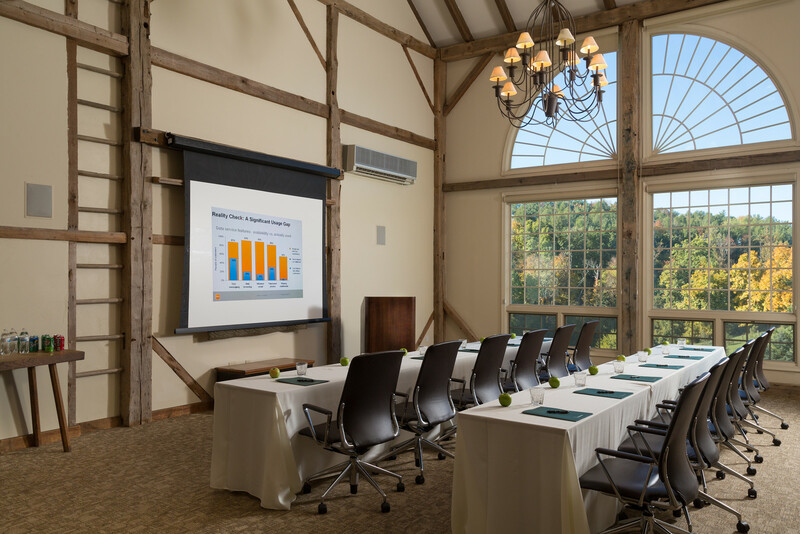 Don’t let planning your next meeting become a chore. 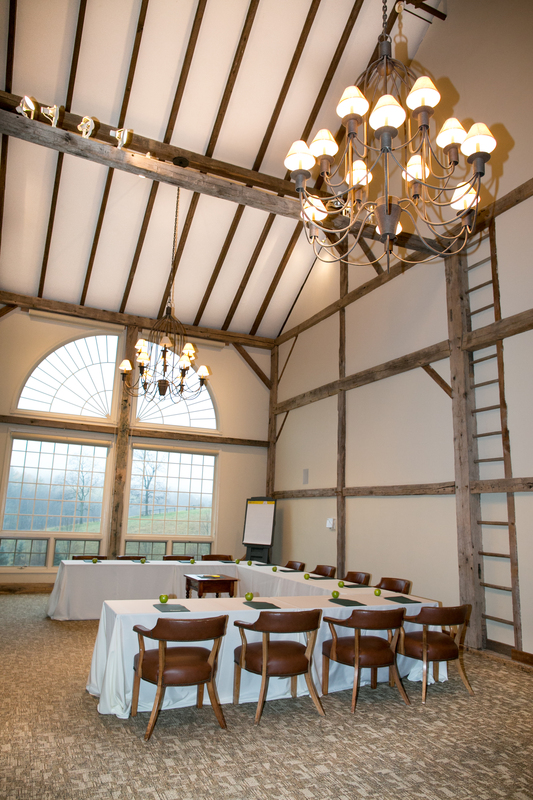 Bring your team to Glasbern’s meeting and event venue in Lehigh Valley and refocus on your shared goals with a fresh mindset.